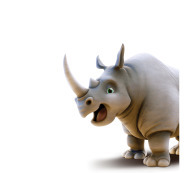 A summer kids’ event this year called ROAR from June 24 to June 28, 2019. 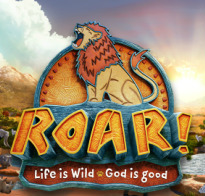 Roar is an awesome adventure where kids learn GOD IS GOOD. This fun week will help children (and adults too) deepen their faith by learning that the Lord is good and a refuge. Kids participate in memorable Bible-learning activities, sing catchy songs, play teamwork-building games, dig into yummy treats, experience electrifying Bible adventures, meet Bible Memory Buddies to remind them God is Good. Plus, kids will learn to look for evidence of God all around them through something called God Sightings. Each day concludes with ROAR group closing that gets everyone involved in living what they’ve learned. Family members and friends are encouraged to join in daily for this special time at 11:40am-12pm. Kids at will join an international missions efforts.More details of mission project will be given at VBS. 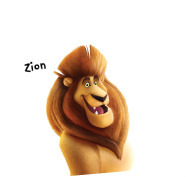 ROAR is for kids from 3 years through 12 or 6th grade (13 years or 7th grade and over can be crew leaders or station helpers). We will give certificate of hours donated to crew leaders to give to their schools, so encourage those teens to get involved in this fun week! Vacation Bible School will run from 9am to noon each day. For more information, call Linda Keller at 562-696-1151.